STANFORD, Calif. (www.mubadalasvc.com) – 2017 Bank of the West Classic tickets are on sale now and fans this year will be treated to another stellar player field as two-time Grand Slam champion Victoria Azarenka has announced she will make her return to the Women’s Tennis Association (WTA) at Stanford. 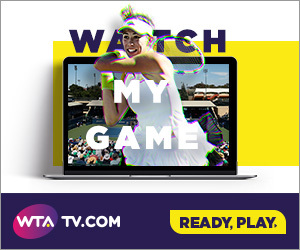 Tickets for this year’s event, which will be held July 31-August 6 at the Taube Family Tennis Stadium on Stanford University’s campus, can be purchased online at www.mubadalasvc.com or by phone at 866-WTA-TIXS (866-982-8497). Azarenka, a former World No.1 and two-time Australian Open singles champion, will make her return to the WTA tour following the birth of her son Leo in December. Azarenka will be making her fifth appearance at Stanford where she won the singles title in 2010 and the doubles title in 2011. The Bank of the West Classic has also received a commitment from World No. 11 Madison Keys. The young American had a breakthrough 2016 season, winning her second WTA title, breaking into the World Top 10 and qualifying for the prestigious year-end WTA Championships for the first time in her career. She ended the year ranked a career-high World No.8. Individual session tickets for the opening round start at just $27. The Bank of the West Classic provides fans with multiple money-saving ticket packages that start as low as $192 for Night Session Packages, $265 for Weekend Packages and $620 for Full Week Packages. Groups of 15 or more can also receive discounts of up to 20%. The Bank of the West Classic, a Premier WTA event, features a 28-player singles draw and a 16-team doubles draw. The event is owned and operated by IMG and serves as the opening women's event of the Emirates Airline US Open Series. Past champions of the event include some of the biggest names in women’s tennis, such as Serena Williams, Lindsay Davenport, Billie Jean King, Chris Evert, Martina Navratilova, Andrea Jaeger, Monica Seles, Martina Hingis, Venus Williams and Kim Clijsters. The Bank of the West Classic offers several different seat options with prices to fit everyone's budget. Qualifying matches will be held on July 29-30 and are free to the public. ABOUT THE BANK OF THE WEST CLASSIC: The Bank of the West Classic is the longest-running women-only professional tennis tournament in the world and is the first stop of the US Open Series. Owned and operated by IMG, the WTA Premier event features a 28-player singles draw and a 16-team doubles draw with total prize money of $710,000. Held on Stanford University’s campus at Taube Family Tennis Stadium since 1997, former champions include: Billie Jean King, Chris Evert, Martina Navratilova, Andrea Jaeger, Monica Seles, Martina Hingis, Lindsay Davenport, Serena Williams, Venus Williams and Kim Clijsters. ABOUT BANK OF THE WEST: Bank of the West is a regional financial services company headquartered in San Francisco with $83.8 billion in assets as of December 31, 2016. Founded in 1874, Bank of the West provides a wide range of personal, commercial, wealth management and international banking services through more than 600 branches and offices in 23 states and digital channels. Bank of the West is a subsidiary of BNP Paribas, which has a presence in 74 countries with more than 190,000 employees. ABOUT THE US OPEN SERIES: Now in its 14th season, the world's best players on the WTA and ATP World Tour are coming together for the US Open Series. Linking seven summer WTA and ATP World Tour tournaments to the US Open, the US Open Series serves as a true regular season of hard court tennis.